The day after my trip to Mt Nemrut I awoke in Malatya to blanket news coverage of a car bombing in Turkey close to the Syrian border. The reports were quite shocking - Turkish TV is not squeamish when it comes to violent images. The French couple from Nemrut had talked about going south towards the Syrian border and my guidebook had recommended a couple of towns down there as unmissable. However, the timing of the bombing convinced me that I should avoid the area and head for Diyarbakir instead of Urfa. What worried Sal, and indeed most Turkish people living in the west of the country, wasn't Syrians but Kurds. Diyarbakir is a predominantly Kurdish city and the place where the PKK (Kurdistan Workers Party) was formed. To my mind, it still seemed better than heading towards Syria so I ignored his protests and advice (“Come back to Kas, bro, it hot here!”) and caught a five hour bus east. On the bus, I had a long chat with the guy sitting next to me. He was an air force pilot returning to duty after visiting his wife. He talked superficially about life in the Turkish military and the size of its presence in the south-east of the country then gave me a couple of presents – a fighter plane keyring and a military patch depicting a Phantom F-4 and The Grim Reaper. A caption beneath read “Good Looking And Deadly”. 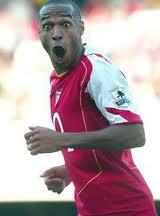 Later, all superficiality ceased as he got onto a subject dear to his heart : the life and career of Thierry Henry. He had been a staunch Galatasaray supporter until May 17th 2000 when they played and beat Arsenal in the UEFA Cup Final. The game was preceded by riots that resulted in 4 stabbings and the game itself was very bad tempered – then again, Galatasaray won't get involved in any other type of match. I found it remarkable that a fan would switch his alliance to the losing team after such an acrimonious match, but that's exactly what he did. He is currently the proud owner of three Henry shirts and prefers Arsenal's yellow and blue away kit to the famous red and white strip. To my mind, he's a singular pilot on a road less travelled. I liked him, but I can't abide Henry.